Many of us use Wi-Fi to connect to the Internet, but sometimes issues with Wi-Fi can occur. According to users, Windows 10 Wi-Fi isn’t connecting automatically, and today we’re going to show you how to fix that problem. Windows 10 WiFi not connecting automatically, how to fix it? 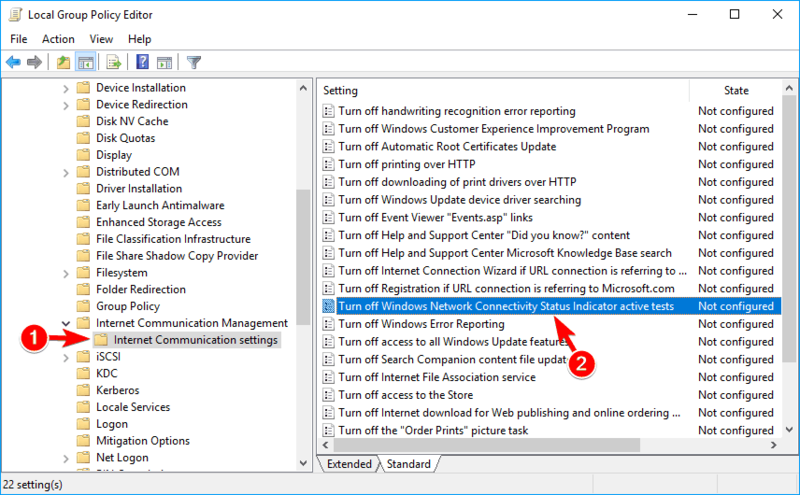 In the left pane, navigate to Computer Configuration > Administrative Templates > System > Internet Communication Management > Internet Communicating Settings. 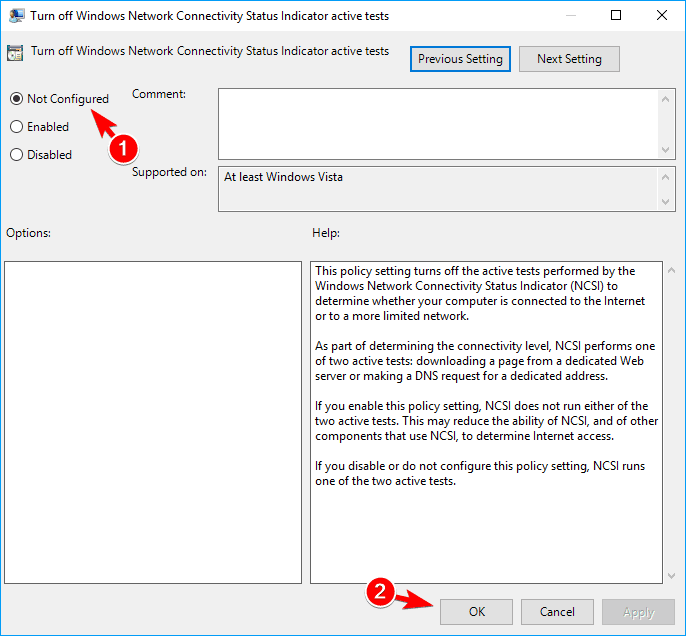 In the right pane, locate Turn off Windows Network Connectivity Status Indicator active tests and double click it to open its properties. Select Not Configured from the menu and click on Apply and OK to save changes. 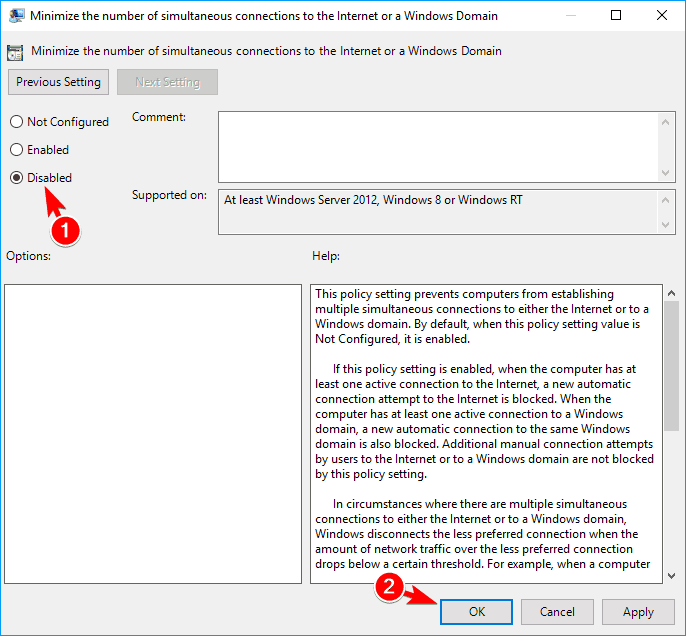 By default, this policy is set to Not Configured, but for some reason it might become enabled on your PC, so we advise you to check your Group Policy settings. After Device Manager starts, you need to locate your Wi-Fi device. 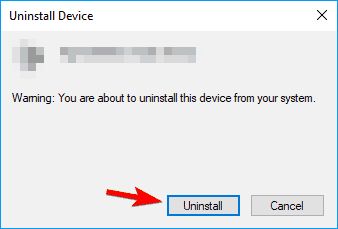 Right click the Wi-Fi device and choose Uninstall device from the menu. Confirmation message will now appear. Click on Uninstall to proceed. After doing that, click on Scan for hardware changes icon. Windows will now scan your system and install the missing drivers. Once your driver is installed, the problem with Wi-Fi should be resolved completely. Few users claim that this is just a workaround, so if the problem appears again you might want to download and install the latest driver for your Wi-Fi adapter. 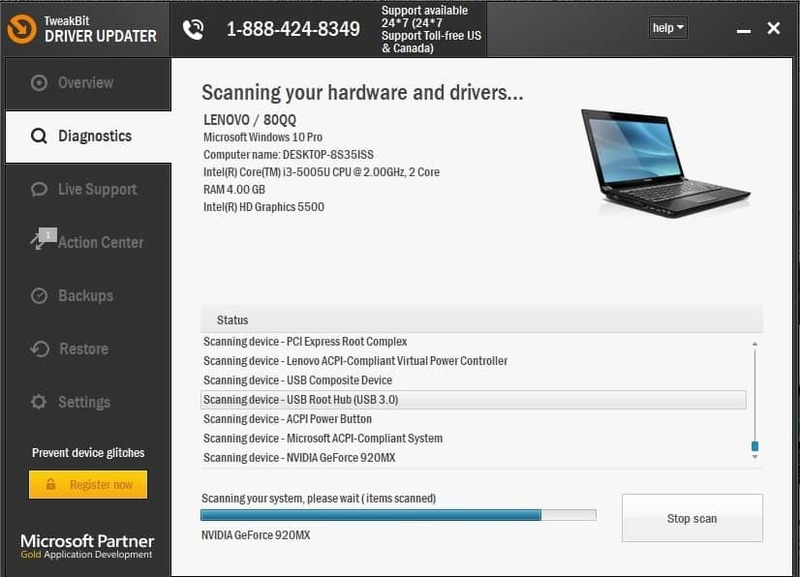 After uninstalling the drivers, you might want to search them on manufacturer’s website. It is very important to choose the right driver versions . In case you choose and install the wrong one, this may harm all your system. Once the Settings app opens, navigate to Network & Internet section. In the left pane, navigate to Wi-Fi category. Now locate Manage Wi-Fi settings in the right pane and click on it. Locate Manage known networks and click it. Now you should see a list of all networks that you’ve connected to in the past. To forget a network, simply select it and click on Forget. Now repeat these steps for all networks on the list. Press Windows Key + X and choose Command Prompt (Admin) from the menu. If you don’t have Command Prompt available on the list, you can choose PowerShell (Admin) instead. When Command Prompt opens enter netsh wlan show profiles and press Enter to run the command. After doing that, you’ll see the list of all saved Wi-Fi networks. To delete a saved Wi-Fi network, simply enter netsh wlan delete profile name=”Name of the Wi-Fi network” and press Enter to run the command. 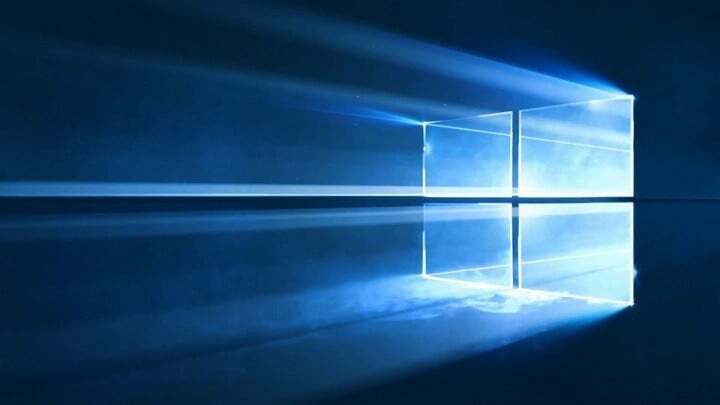 READ ALSO: Windows 10 loses Wi-Fi connection: Could this be a general bug? This method is a bit advanced, but it might be faster to use if you’re familiar with Command Prompt. Both methods from this solution will have the same results, so feel free to use any of them. After removing all saved networks, you just have to connect to your network and enter its password and the problem should be resolved. Some users claim that you just have to delete your own Wi-Fi network from the list of saved networks, so be sure to try that first. Several users reported that using the PROSet software fixed the problem for them. For some reason there was a one minute delay on their PC before the computer could connect to a Wi-Fi network automatically. However, after installing PROSet software the problem was completely resolved. According to users, they used a Cisco wireless router, so that can also be a part of the problem. Even if you don’t use Cisco’s network device, feel free to try this software. Press Windows Key + R and enter regedit. Click on OK or press Enter. Optional: Modifying the registry can cause some problems with your PC if you’re not careful, therefore it’s always a good idea to create a backup just in case anything goes wrong. To do that, click on File > Export. 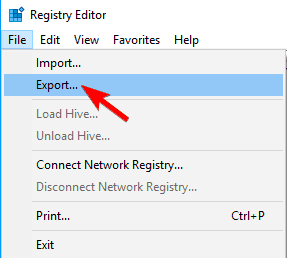 Set Export range to All and enter the desired file name. Choose a safe location and click on Save button. Now you’ll have a backup of your registry ready. 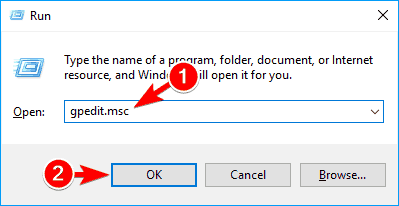 In case any problems occur after modifying your registry, you should be able to fix it simply by running this file. 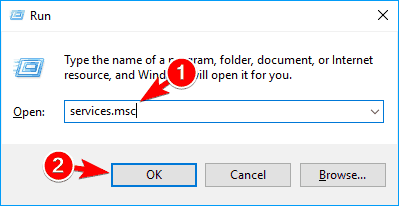 Navigate to HKEY_LOCAL_MACHINE\SOFTWARE\Policies\Microsoft\Windows\WcmSvc in the left pane. 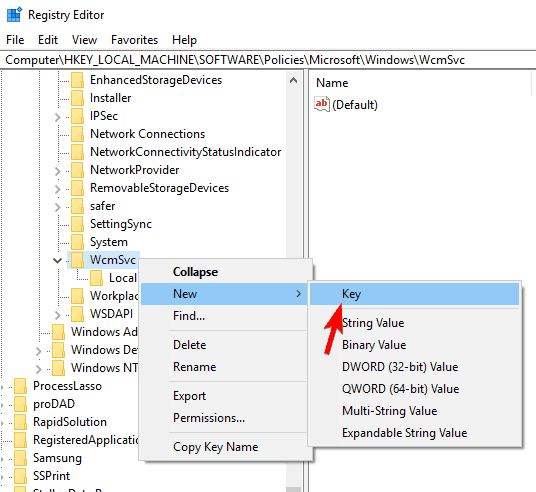 Expand WcmSvc key and look for GroupPolicy key. If this key isn’t available, you need to create it manually. 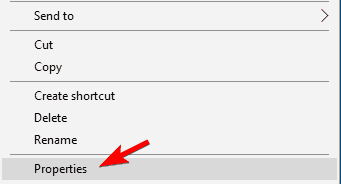 To do that, right click WcmSvc and choose New > Key from the menu. Now enter GroupPolicy as the name of the new key. 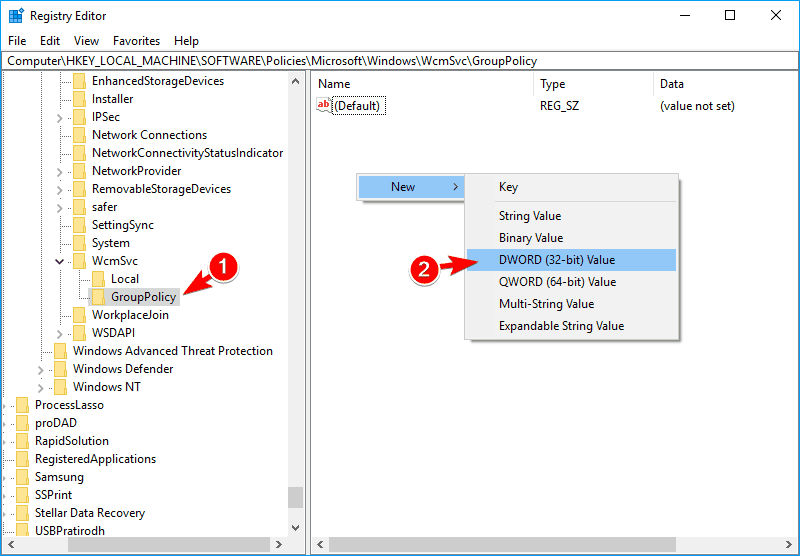 Navigate to the GroupPolicy key and in the right pane click on empty space and choose New > DWORD (32-bit) value. Enter fMinimizeConnections as the name of the new DWORD. 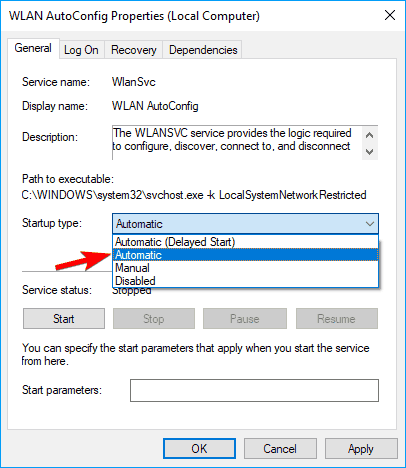 Once your PC restarts, the problem should be resolved and your PC will automatically connect to the Wi-Fi network. If any problems occur, you can simply delete the GroupPolicy key you created to fix them. Press Windows Key + S and enter control panel. Now choose Control Panel from the menu. 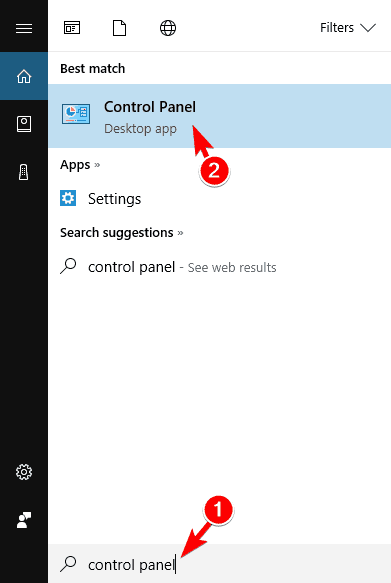 Alternatively, you can just open the Start Menu and search for Control Panel. When Control Panel opens, navigate to Power Options. When Power Options window opens, click on Choose what the power button does option from the menu on the left. 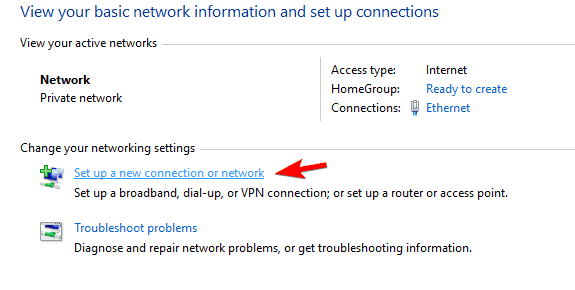 After turning this option off, your PC might boot a bit slower, but your Wi-Fi problems should be resolved. 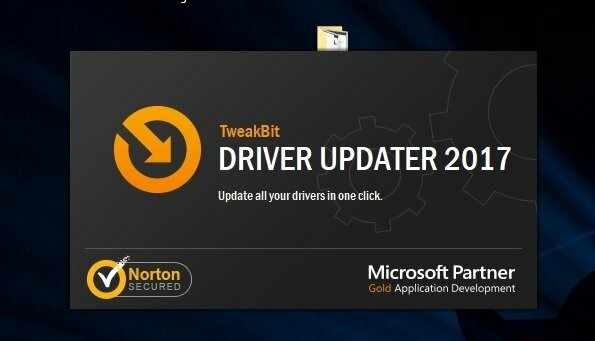 Download and install the latest drivers for your wireless adapter. 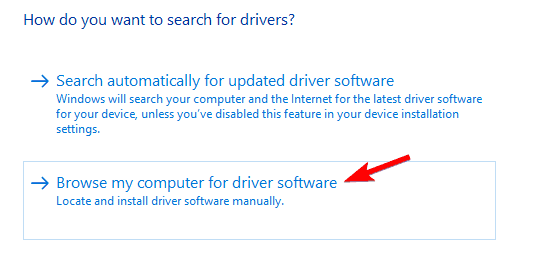 If possible, try to download the drivers without any additional wireless configuration software. Start Device Manager and locate your wireless device. Right click the wireless device and choose Update driver. You should see several different drivers available. 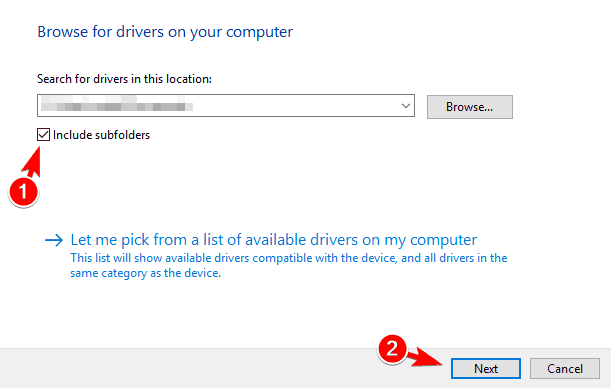 Select the driver from your wireless adapter manufacturer and click on Next. After you install the driver manually, the problem should be resolved and you’ll be able to connect to wireless network without any problems. 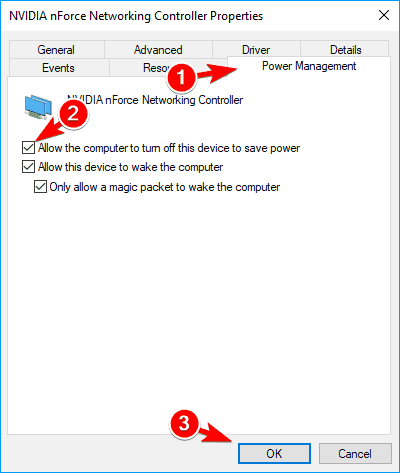 If Windows 10 can’t automatically connect to the Wi-Fi, you might want to try replacing your wireless adapter. Some wireless adapters aren’t fully compatible with Windows 10, and that can be the case with your adapter. If that’s so, you need to replace your wireless adapter with a different model and check if that solves the problem. This is a drastic solution, and you should use it only if other solutions from this article can’t fix your problem. Most wireless adapters are fully compatible with Windows 10, but if you’re using an unknown brand, you might experience this problem on your PC. List of all available services will now appear. 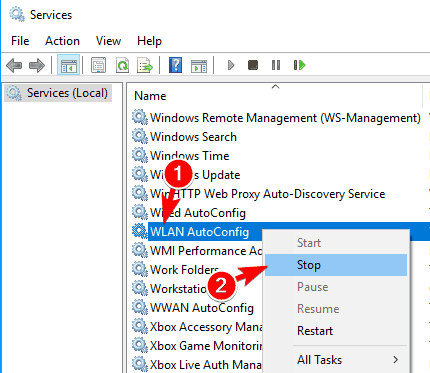 Locate WLAN AutoConfig service, right click it and choose Stop from the menu. After stopping the service, minimize the Services window. Open File Explorer and go to C:\ProgramData\Microsoft\Wlansvc directory. If you can’t find this directory, be sure to reveal hidden files and folders. To do that, simply click on the View tab and then check Hidden items option. 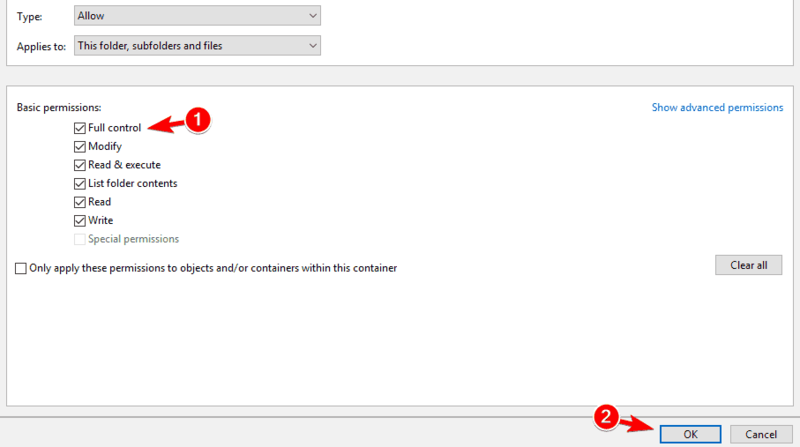 Once you enter Wlansvc directory, delete all files and directories from it except Profiles directory. Now navigate to the Profiles directory. Delete all files and directories except Interfaces folder. 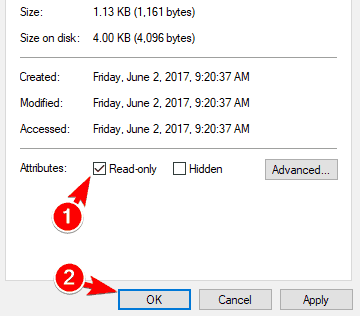 Open Interfaces folder and delete all files and folders from it. 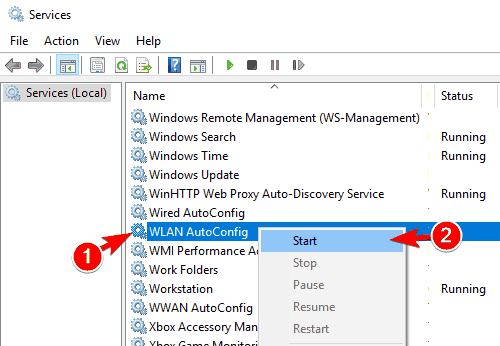 Now go back to Services window, locate WLAN AutoConfig service, right click it and choose Start from the menu. Connect to your wireless network once again. Be sure to check the option to automatically connect to the selected network. After doing that, you just have to restart your computer and check if that solves the problem. Few users are also suggesting to go back to C:\ProgramData\Microsoft\Wlansvc\Profiles\Interfaces directory and locate the newly created .xml file in one of the folders. This .xml represents your network connection, and to fix the problem, you need to right click this file and choose Properties from the menu. 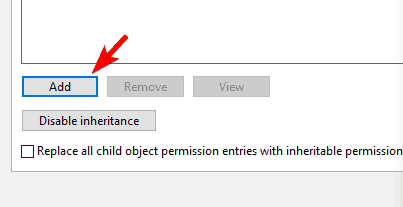 Now go to General tab and check Read-only option in Attributes section. Click on Apply and OK to save changes. According to users, it seems that Windows was modifying .xml file causing this problem to appear. By setting the file to Read-only mode, the problem was resolved completely. Navigate to C:\ProgramData\Microsoft\Wlansvc\ directory. Locate the Profiles directory and right click it. Choose Properties from the menu. 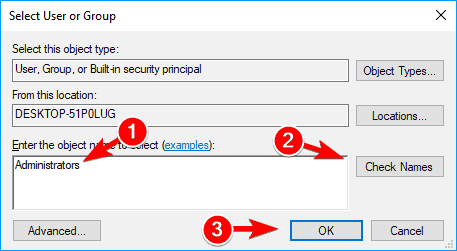 Go to Security tab, and check if Administrators group is available in Group or user names section. If not, click the Advanced button. If Administrators group is available, go to Step 7. In the Enter the object names to select field enter Administrators and click on Check Names. If everything is in order, click on OK. Check Full control option and click on OK to save changes. 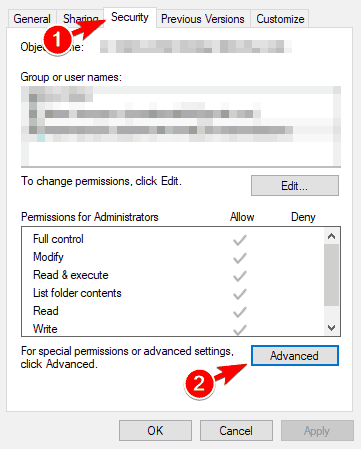 Select Administrators and click on Edit. 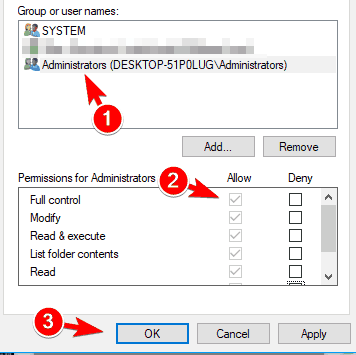 Select Administrators and make sure that Full control option is checked in Allow column. Now click on Apply and OK to save changes. Go to Network and Sharing Center and try to add your wireless connection. After doing that, the problem should be resolved and you’ll be able to connect to your wireless network without any issues. Click the Internet access icon in your Taskbar. List of all wireless connections will appear. Right click your connection and choose Properties from the menu. When Properties window opens, go to Connections tab. Now check Connect automatically when this network is in range option and save changes. After enabling this option the problem should be resolved and you’ll be able to use your wireless connection without any issues. Open Control Panel and choose Network and Sharing Center. When Network and Sharing Center opens, click on Set up a new connection or network. Choose Manually connect to a wireless network option and click on Next. Enter the network name and required settings. In addition, be sure to check Start this connection automatically and Connect even if the network is not broadcasting options. Now click on Next and follow the instructions to complete the process. 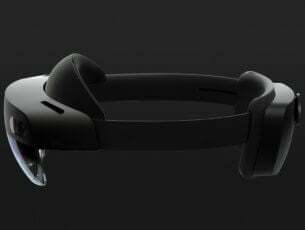 After doing that, you’ll have a new connection ready and Windows will automatically connect to it. Many wireless adapters come with their own software that can help you configure your wireless network. To fix this problem, you need to remove any wireless configuration software that came with your wireless adapter. 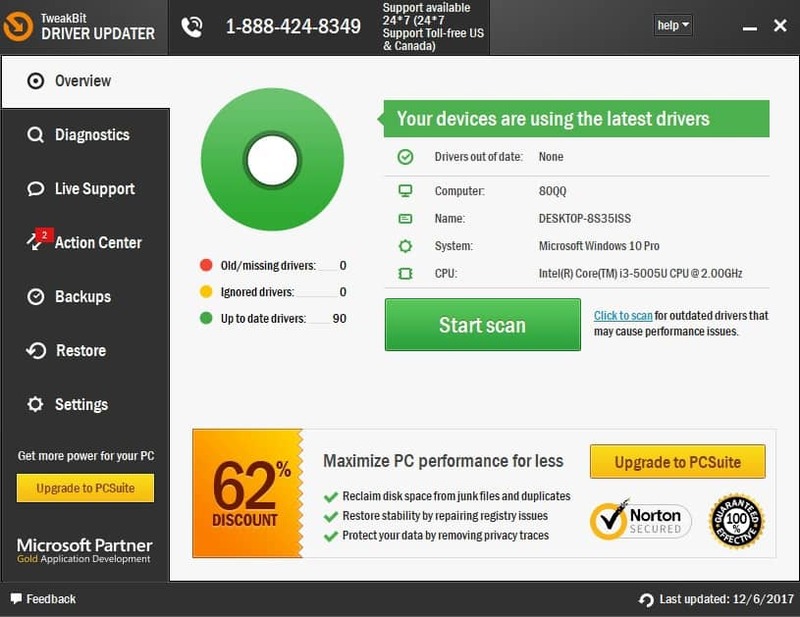 Keep in mind that removing this software can also remove drivers for your wireless adapter. 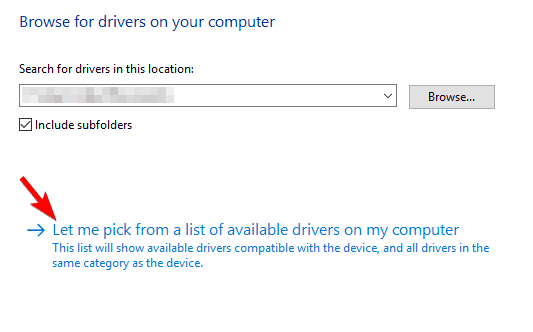 Open Device Manager, locate your wireless adapter, right click it and choose Update driver from the menu. Click the Browse button and locate the wireless drivers on your PC. Usually they’ll be on a CD that you got with your wireless adapter. If you downloaded the drivers online, be sure to check your download directory. After you select the driver directory, Check Include subfolders option and click on Next. Follow the instructions on the screen to complete the process. In some cases Windows will ask you if you want to use Windows or a third-party software to control the wireless device. If that happens, be sure to choose Windows. Users reported that sometimes third-party wireless control software can start automatically with Windows causing this problem to appear. To fix the issue, you need to manage your startup items and prevent the software from starting automatically with Windows. Users reported problems with Netgear software, but the problem can also appear with software from other manufactures. Open the Services window. We already showed you how to do that in Solution 9, so be sure to check it for detailed instructions. 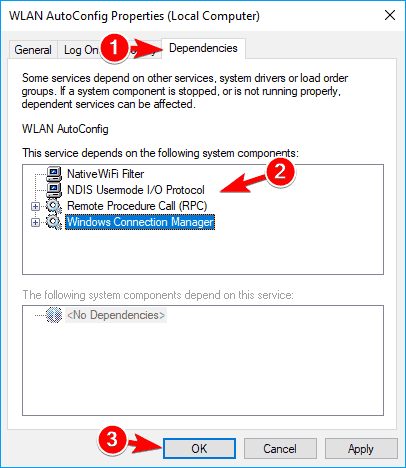 When Services window opens, locate WLAN AutoConfig service and double click it to open its properties. Go to Dependencies tab and check the list of services that are dependent on WLAN AutoConfig. Write down those services since you’ll need them for the next step. Click OK and Apply to save changes. Now locate all dependant services from the previous step and make sure that their Startup type is set to Automatic. 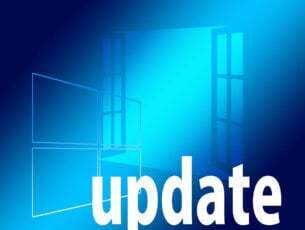 After making the necessary changes in the Services window the problem should be resolved entirely. SFC scan will now start. The scan can take a while, so don’t interrupt it. If SFC scan can’t fix the problem or if you can’t run it at all, you might want to use DISM scan instead. To do that, start Command Prompt as administrator and enter Dism /Online /Cleanup-Image /RestoreHealth. After the DISM scan is completed you should be able to run SFC scan without any problems. Locate your wireless adapter on the list, right click it and choose Properties from the menu. 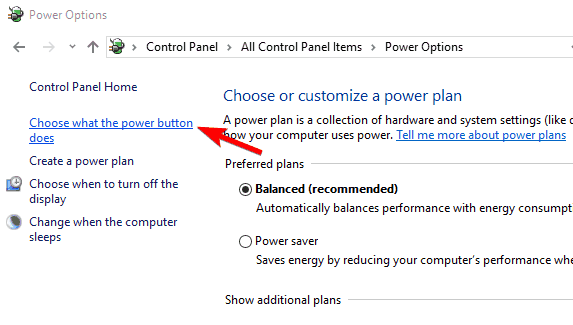 When Properties window opens, go to Power Management section. Now locate Allow the computer to turn off this device to save power option and check it. Click OK to save changes. After enabling this option, your computer will always turn off your wireless adapter when your PC enters hibernation or Sleep Mode. Users reported that this solution fixes this problem when waking your PC from hibernation, but feel free to try it even if you don’t use the hibernation feature on your PC. 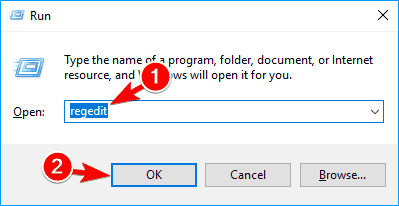 Several users reported that this option automatically turns back off after you install a new build of Windows, so if you install any major update, be sure to turn on this feature again. We also have to mention that few users claim that disabling Allow the computer to turn off this device to save power option fixed the problem for them, so be sure to try it out. Log in to your router. To see how to do that, we strongly suggest to check your router’s manual. Now click on Advanced and click Yes to confirm. Locate IGMP Proxy feature and choose Disable. 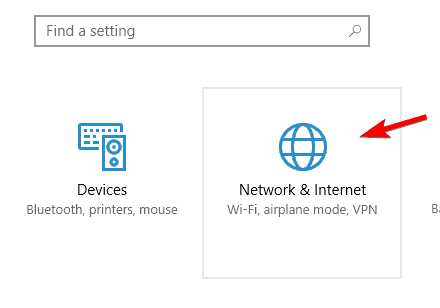 After turning this feature off, the problem should be resolved and your PC will automatically connect to Wi-Fi network without any problems. Keep in mind that all routers are different, so you might need to take slightly different steps to disable this feature. For detailed instructions on how to disable this feature, we advise you to check your instruction manual. Open Group Policy Editor. We showed you how to do that in Solution 1, so check it for detailed instructions. 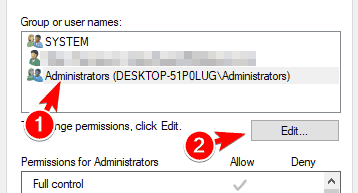 When Group Policy Editor opens, in the left pane navigate to Computer Configuration > Administrative Templates > Network > Windows Connection Manager. 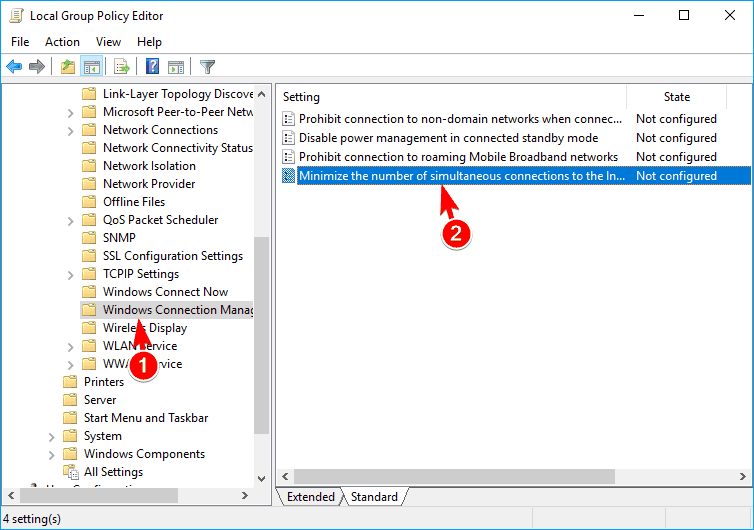 In the right pane, locate Minimize the number of simultaneous connections to the Internet or a Windows Domain and double click it. Select Disabled and click on Apply and OK to save changes. After doing that, close Group Policy Editor. After disabling this setting, the problem with your Wi-Fi connection should be completely resolved. This is just a workaround, so it might not be the best permanent solution. Changing your router’s security isn’t advised since some security standards are less secure than others. By using this method you’ll reduce the security of your wireless network, so be sure to keep that in mind. Several users claim that the problem appears while using WPA 2 security to secure the wireless network. According to users, switching the wireless security from WPA or WPA 2 to WEP fixed the problem for them. We have to warn you that WEP security standard is outdated, so it’s always better to use WPA 2 standard instead. Almost all wireless devices are fully compatible with WPA 2 standard, and if your device has a problem with it, you might have to check its settings or update your drivers. To switch to a WEP security, you just have to log in to your router and select WEP security from the Wireless section. For more instructions on how to do that, we advise you to check your router’s instruction manual. Once again we have to mention that WEP security is outdated, and if you’re going to use it, use it only as a temporary solution. As you can see, this can be an annoying problem, but we hope that you’ll manage to solve it by using one of our solutions.